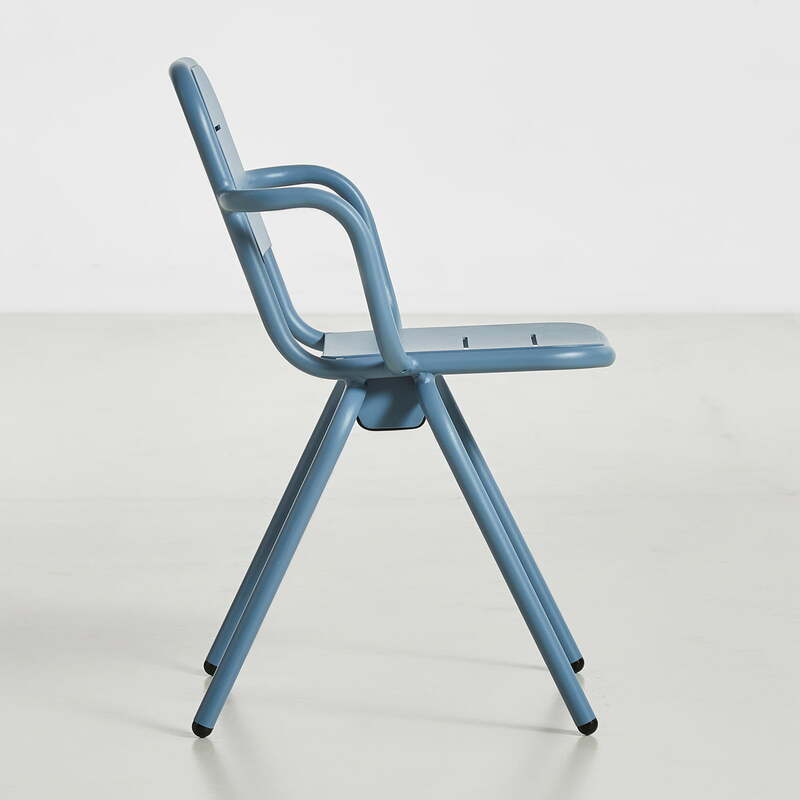 The Ray Café Armchair by Woud belongs to a series of outdoor furniture for private and public use. 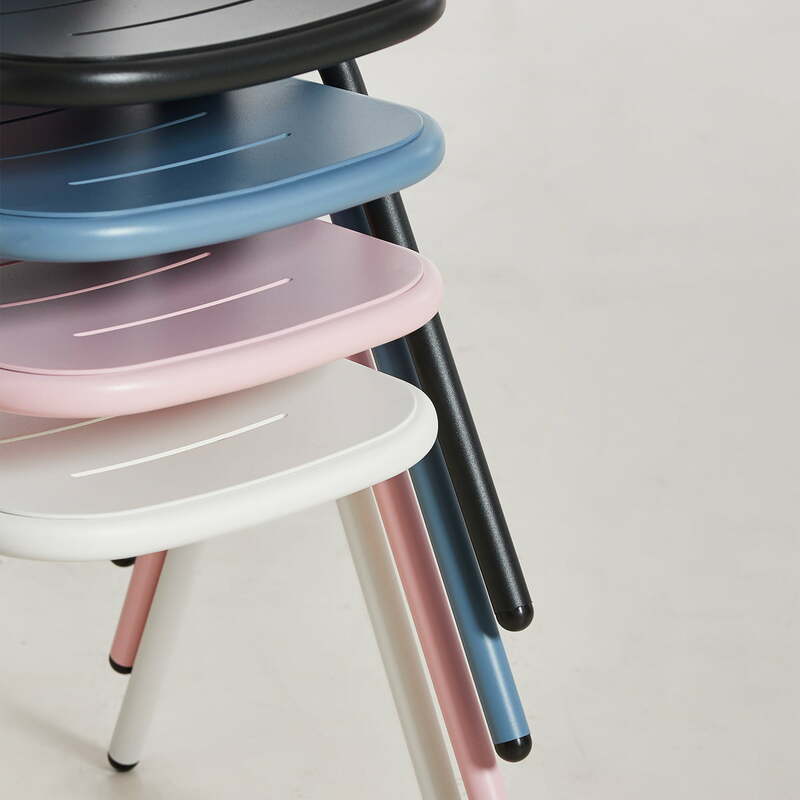 The visually appealing series of chairs and tables was designed by Fasting and Rolff. 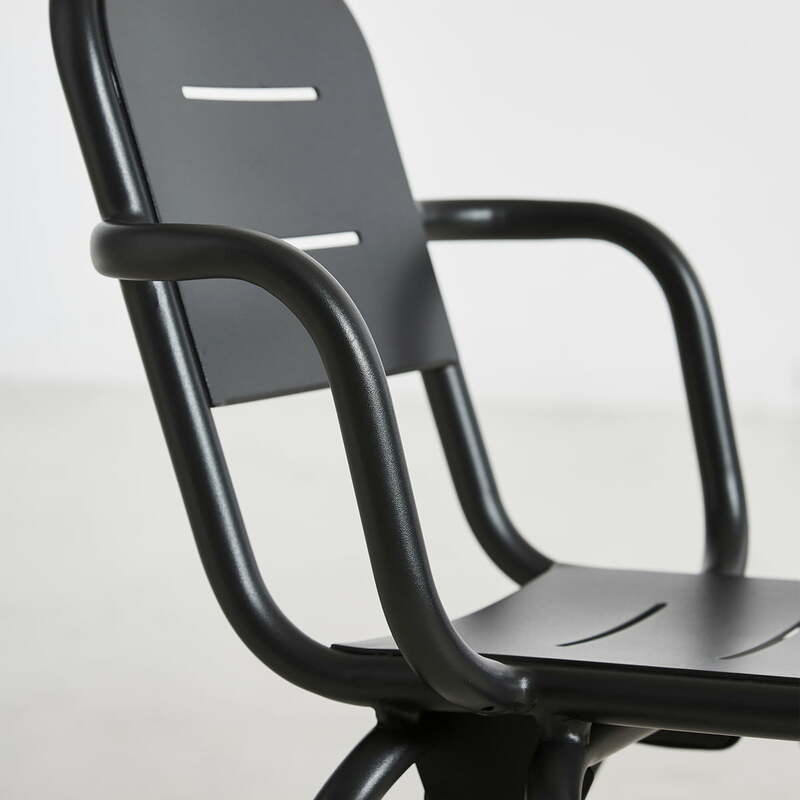 The armchair convinces with its soft curves and the robust, powder-coated aluminium. 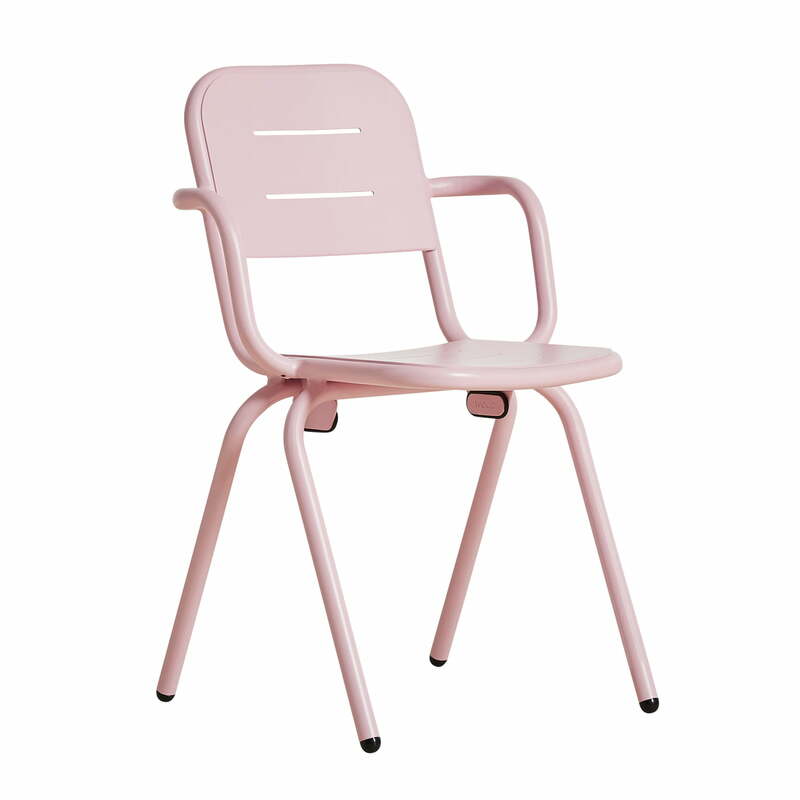 The chair looks good on the balcony or terrace as well as in front of a café and restaurant. With the elongated grooves in the seat and backrest, Ray lets sun rays through, creating beautiful shadows on the underlying floor. The elegant grooves lend the design a certain lightness, allowing wind to pass through and rain to drain quickly. Available in different colours, the stackable chair blends in well with any ambience. 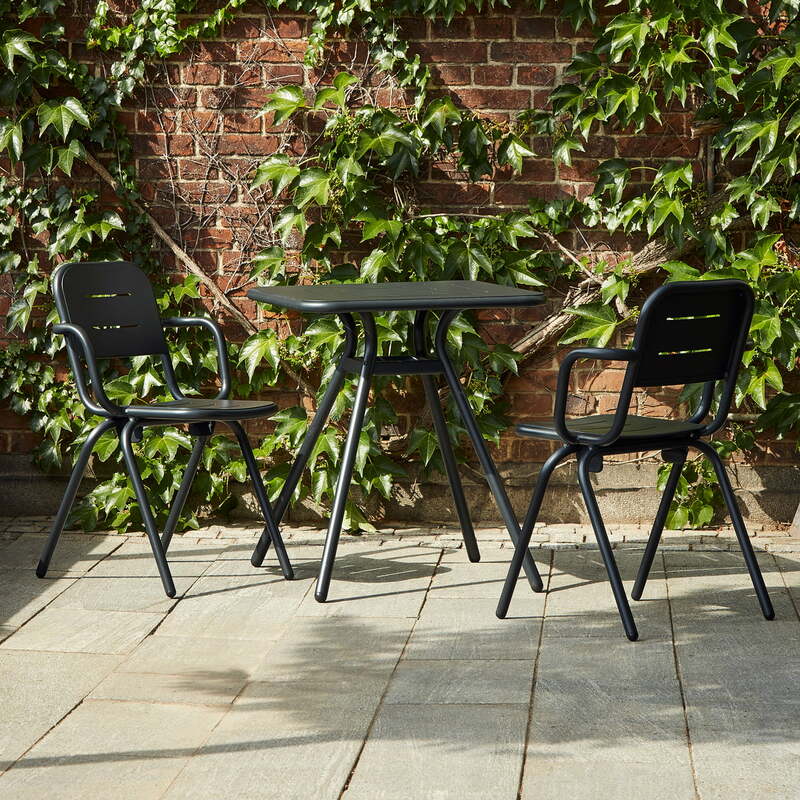 With elongated grooves in the seat and backrest, Woud's Ray Café Armchair lets sun rays through in charcoal, creating beautiful shadows on the underlying floor. 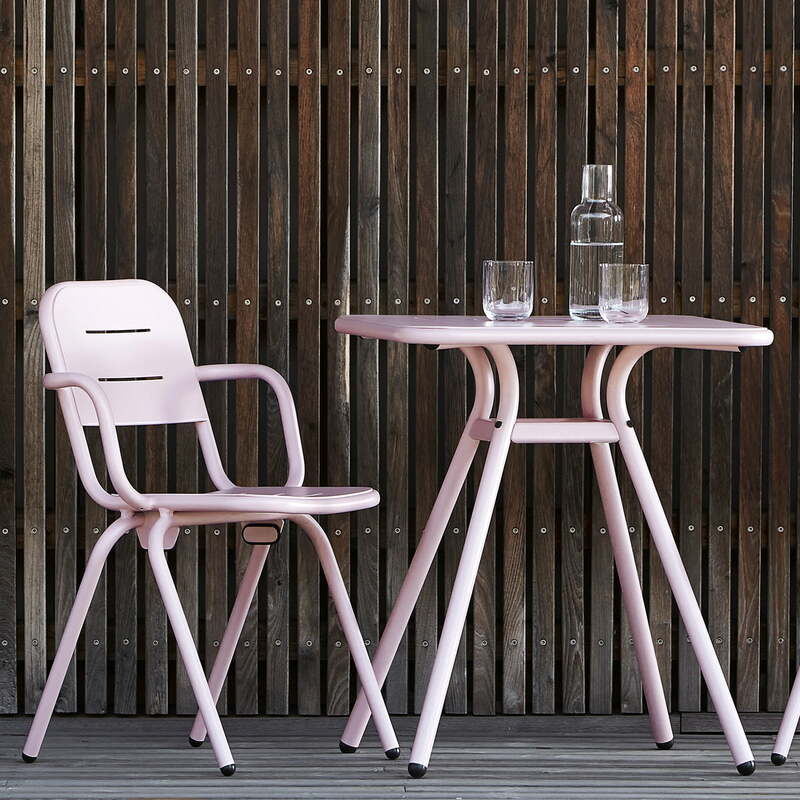 Ray Café table and Ray Café Armchair from Woud. In unmistakable colours they can be easily combined with each other and thus create a light and modern atmosphere on the terrace or balcony. 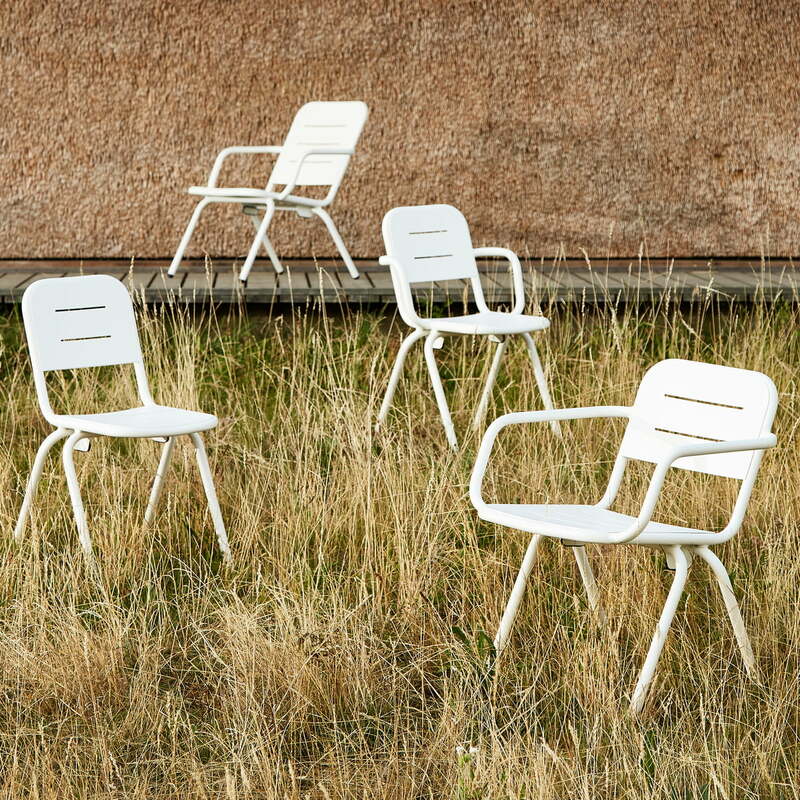 The Ray Café chairs from Woud in white. The elegant grooves in the chairs lend a certain lightness to the design, allowing wind and rain to drain away quickly.